The Environmental Defense Center (“EDC”) has a long history of working to protect our coast and ocean from the risks and impacts of offshore oil and gas development. In fact, we were formed as a direct result of the 1969 Santa Barbara Oil Spill, which led to the enactment of most of our current environmental protection laws. As a result of our legal work over the years, we have stopped several proposed offshore drilling projects, helped craft a ban on new leasing in state waters, filed a lawsuit that resulted in the termination of 40 leases in federal waters, and put an end to marine barging off our coast. We were looking forward to the phasing out of oil drilling offshore California, and a transition to a cleaner energy future. Imagine our surprise, then, when we found out that the oil industry was fracking from the platforms off our coast, without any public notice or environmental review! How ironic that the agencies that are subject to the laws created out of the 1969 oil spill were now exempting the industry from these very same laws! The first environmental protection law, the National Environmental Protection Act (“NEPA”), passed in 1970 with bipartisan support and signed into law by President Nixon, requires that agencies conduct transparent, public review of projects and activities that could cause adverse environmental impacts. If fracking doesn’t fit that description, it’s hard to imagine an activity that would. In our capacity as a public interest environmental law firm, we were approached in early 2013 by several individuals and groups who wondered whether fracking, which had just been discovered onshore in Santa Barbara and Ventura Counties, could be happening offshore. In March 2013, we submitted our first request for information under the Freedom of Information Act (“FOIA”). The response was startling: at least 15 fracking operations were disclosed. Subsequent FOIA requests revealed more instances of fracking and acidizing from the oil platforms off our coast. Even more startling was the fact that these activities had been approved by Bureau of Ocean Energy Management (BOEM) and Bureau of Safety and Environmental Enforcement (BSEE) without any environmental review. Naturally, we were concerned. Both fracking and acidizing are utilized to enhance production of oil and gas and pose significant threats to the environment. Fracking involves pumping a mixture of water, sand, and toxic chemicals down a well at extremely high pressures to break apart a hydrocarbon-bearing geologic formation and increase rates of oil or gas production. Acidizing uses the application of toxic acids, typically hydrofluoric acid and hydrochloric acid, to the well or underground geologic formation. The acids dissolve the rock and release oil and gas. These practices are usually used when a formation has been producing for many years, and the oil company seeks to extend production by extracting embedded oil from the underground formation. Fracking and acidizing impact the environment through platform discharges into the ocean, potential leaks and spills, and extending the life of the platforms. 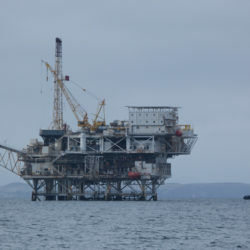 Because we were unable to ascertain much information from the federal government, we conducted our own research and prepared a report to disclose the realities of fracking and acidizing offshore, and to identify the laws and regulations that should be followed before any further operations are considered (“Dirty Water: Fracking Offshore California”). Because BOEM and BSEE continued to refuse to provide public notice or analyze the potential impacts of fracking and acidizing before issuing permits, we filed a lawsuit in 2014 (Environmental Defense Center v. BSEE). 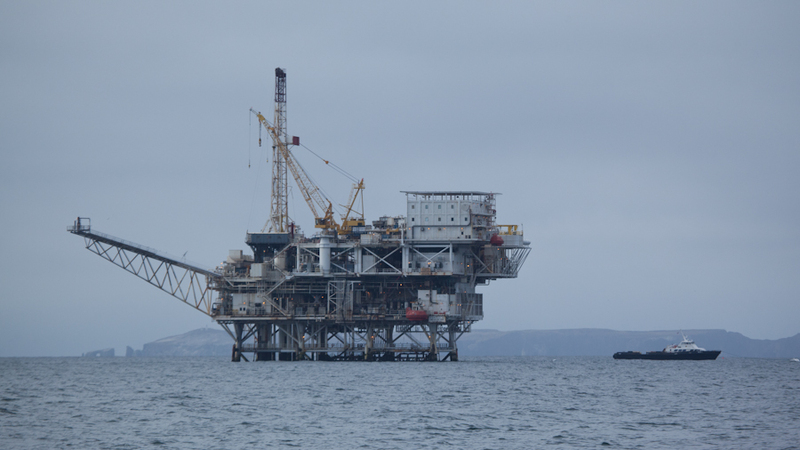 We ultimately settled the case, and the government agreed to the first ever review of potential environmental effects of fracking and acidizing offshore California, as well as a new level of public transparency. In 2016, BOEM and BSEE released a Draft Programmatic Environmental Assessment that provided a cursory review of the impacts that could result from offshore fracking and acidizing, and concluded that such impacts – even on a cumulative level – would be insignificant. We had hired experts and worked with other agencies who all disagreed. Accordingly, we sued again, this time on behalf of both EDC and the Santa Barbara Channelkeeper. (Environmental Defense Center v. BOEM) Our lawsuit included claims under both NEPA, pointing out that the agencies still failed to consider all of the potential impacts of offshore fracking and acidizing, as well as the Endangered Species Act, given the fact that the government’s own assessment identified 25 threatened and endangered species that are present around the platforms. 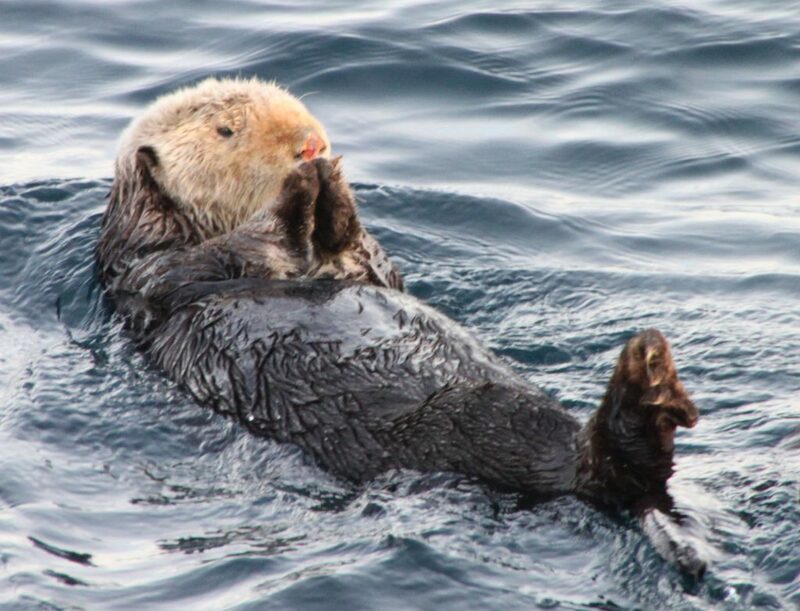 These vulnerable species include blue, fin, and humpback whales; sea otters; sea turtles; and several rare birds. The American Petroleum Institute, ExxonMobil, and DCOR were allowed to intervene in the case, on the grounds that fracking and acidizing are vital to their production plans. These companies confirmed what we feared: that they are using fracking and acidizing now, and they plan to continue doing so. The federal government and oil companies tried to block our case by filing Motions to Dismiss. They argued that we need to wait until more permits are issued and we can identify site-specific impacts on a case-by-case basis. Clearly, they were trying to increase the burden on the public to enforce our nation’s environmental protection laws. The court, however, rejected their arguments and agreed with us that the time is now for the agencies to do their job and disclose all of the potential impacts from offshore fracking and acidizing. The case will now proceed so we can raise our substantive concerns to the court. In the end, our goal is to hold the federal government accountable and force them to do their job. By law, they are required to analyze and disclose potential impacts and risks before projects are approved, and to listen to the public’s concerns. Only if such impacts are accurately identified can we take steps to protect our precious ocean environment.